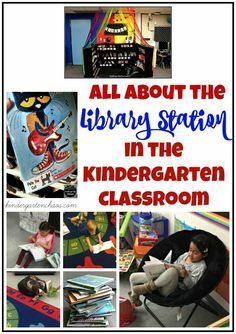 10 things that made my Kindergarten year Awesome!! Yahoo!! I am officially on summer break and can’t wait to share with you, the 10 Things that made my Kindergarten year Awesome!! 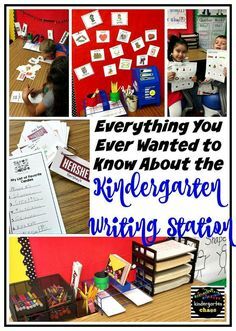 After 4 years in Kindergarten, I have found 10 things that I use on an almost-daily basis and helped to make my year this year, amazing and awesome! Now one thing that I want to impart to you is that these are things that I love and use and work in MY classroom. You may agree or disagree…either way, I hope you find something here today that will make your school year awesome! 2. Home-Made Microwave Playdough – This is a MUST-HAVE for every Kindergarten, or even primary classroom! I start my school year off with play-doh and use it all year long for a variety of stations, and even free time! And since play-doh can be expensive in large amounts, I make my own in 10 minutes, using the microwave and WITHOUT Cream of Tartar. 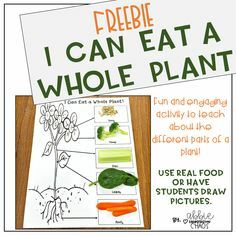 Here’s the recipe, plus a bunch of ideas for using it in the classroom! 3. KleenSlates – If you haven’t heard of these boards…go check them OUT!! I found out about these boards 2 years ago at the National Kindergarten Conference and immediately fell in love with them! Why? I love that the design includes a marker with eraser top, that then clips right onto the board, plus includes a special micro-fiber towel also attached to the board. These have made my small groups, so much more manageable. I keep these boards in a crate, under my teacher table and then there is no searching for markers or erasers. 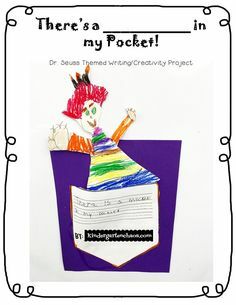 I also love the fact that there is a pocket on the reverse side, so you can slide in your own products or templates, for students to use like a dry erase pocket. So these ‘giant’ clothespins were a game changer in my room this year. I have become queen of anchor charts, but where do I hang all of them? I first tried using regular clothespins and hot glue and it was an epic fail!! I could only hang one chart at a time and quite frequently, the hot glue and thumbtack separated…causing falling anchor charts. 🙁 So I purchased some large clothespins from the Target dollar-spot and a few chalkboard ones from Amazon and created some heavy-duty, sturdy ones, that were capable of holding 5-6 anchor charts at a time!! WIN! You can check out how I made these clips HERE and can also purchase your own jumbo clothespins HERE! 5. 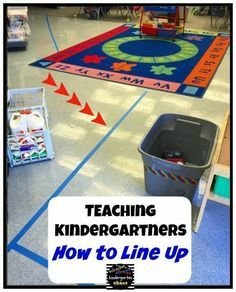 Post It Chart Paper – This is a purchase that is worth it’s weight in teacher gold!! I love having the same size chart paper for all of my anchor charts, plus it’s a bonus that it has the sticky post-it strip, in case I want to stick it on my focus wall. I think I used 3 tablets for the whole school year. If you can swing it financially, or your school can purchase it, I say do it!! 6. Hands-On Math Games – This year I was lucky enough to have a $600 Donors Choose project funded and it was all for hands-on math games! This changed my math time tremendously!! I selected games that aligned with most of the Kindergarten standards and introduced and modeled them, when we focused on each standard. My students loved them and it really helped to strengthen their math skills, while working independently and in partner/small groups. 7. Glue Sponges (Tutorial from The Kindergarten Smorgasboard) – While I have known of glue sponges, since Mr.Greg first introduced them on his blog, I was a little apprehensive and not completely sold on the concept…yet. 😉 I loved my glue sticks, but really detested lost lids, and broken and dried out sticks. I finally took the plunge this Spring and immediately understood why so many people have embraced this cool idea!! 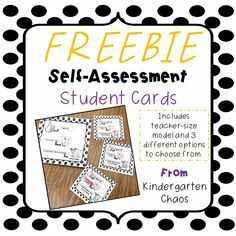 This is another game-changer for your classroom. Head over to The Kindergarten Smorgasboard HERE to read all about them and to watch Mr.Greg’s YouTube video on how he creates these fabulous sponges! 8. GoNoodle – So who HASN’T heard of GoNoodle?! If you have been living under an educational rock, then please…come out and jump on the GoNoodle train! This year I committed to using GoNoodle every day and it made a difference! Kids need movement and music is the great equalizer, so combine the two with GoNoodle and your classroom will never be the same! My class this year loved KooKoo Kangaroo, KidzBop, Maximo, and MegaMathMarathon on GoNoodle Plus. Your account is free and it is so easy to navigate. Watch my first ever YouTube tutorial video HERE on adding YouTube videos to your GoNoodle account! 9. HeidiSongs – Another commitment I made this year to myself and my students, is that I would consistently use music and movement for each and every standard possible. HeidiSongs made achieving that goal possible! I had 18 out of 22 students master 50+ sight words; both reading, spelling, and using the words correctly in their writing. I attribute much of that success to my daily use of HeidiSongs Sight Word DVDs! 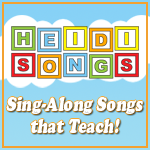 Heidi also came out with a new Musical Math CD/DVD and it was another hit with my students! I prefer using the DVDs, since the combination of the animation/movements and singing, along with projected skill/concept that is displayed really resonates with my kids! 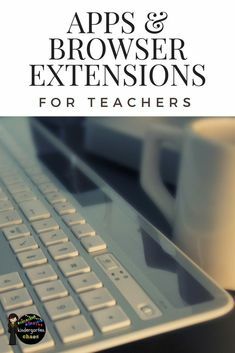 This is a MUST for all primary teachers!! Head HERE to check out her amazing collection! My school purchased licenses for the Kindergarten teachers in our building and it was magical! Honestly, it was amazing at Parent/Teacher Conference time when I was able to give parents a complete printout of their child’s assessments, including customized flash cards, for the skills they needed to work on! Honestly, my parents loved it and so did I! Here is link to a flyer, including a code for 2 months FREE and $40 off your license, should you choose to purchase! There it is…10 Things that made my Kindergarten year Awesome!! I hope this post was helpful to you and that you try something new next school year to make your year as awesome as mine was this year!! Do you have anything to add to my list? I would love to hear about it…leave a comment below!